When you book your Ohio court reporter through a court reporting firm such as Discovery Litigation Services, you can expect more. You deserve a firm that will go above and beyond in every interaction. You deserve an Ohio court reporter who exceeds your expectations for professionalism, expertise, and friendliness. 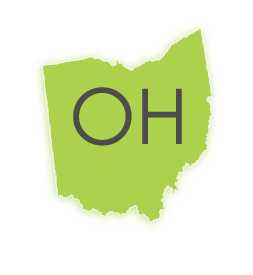 When you book an Ohio court reporter through Discovery, you get the full suite of legal services and expertise carefully crafted throughout decades of in-the-trenches experience. Going above and beyond for our clients is the company standard at Discovery Litigation Services. Scheduling your deposition shouldn’t be like pulling teeth with your legal services provider. Our team is dedicated to making high quality legals services accessible while protecting your budget. We are dedicated to building lasting relationships and working to satisfy your needs. You are more than a customer. You are a teammate. Whether you only need an Ohio court reporter, or you need everything from a conference room to pre-trial strategy consultants and document review attorneys, Discovery Litigation Services will work tirelessly so you don’t have to. Take this moment to see how Discovery will make setting up your deposition a breeze. Discovery Litigation Services is ready and waiting to handle all of your deposition scheduling, booking, coordinating, staffing and various other legal needs. With an army of experts, we can handle everything with just a single click from you. Just upload your deposition and we’ll take it from there. Get back your time to work on your case, network, or spend with your family. Discovery Litigation Service is a comprehensive solution to all of your deposition needs. We are happy to provide an experienced court reporter, coordinate schedules, book the conference room, provide the document review attorneys, and even staff your legal team. Do you need pre-trial strategy consulting? We’ve got you covered! With a simple click on your part, you are well on your way to maximizing your day and saying no to inefficient processes. Stop vetting, interviewing, and searching. Let us do that for you. Through our vast network of real time court reporters we can provide you with a quality stenographer anywhere you need. When you schedule a deposition and book a court reporter through Discovery Litigation Services, you’re ensuring against listlessness, laziness, and unprofessionalism. We staff only the best court reporters who are upheld to extreme standards of quality. When you book a random freelancer, you’re getting a roll-of-the-dice. Discovery Litigation Services is a firm of legal professionals and court reporters motivated and managed by industry experts with years of successful depositions under their belts. When you book your court reporter through Discovery, you know you don’t have to become a micromanager. It is our job to ensure you have everything and everyone you need at your deposition, on time, and anywhere you need it to be. You’ll just have to show up. With Discovery Litigation Services you’re getting the highest quality the industry has to offer with the click of a mouse. Don’t waste your time worrying about the reliability of the people you hire. Enlist Discovery Litigation Services and know you will get what you need when you need it.